It has been almost eight weeks since the Wisconsin Legislature adjourned for the year to begin to stockpile campaign cash for the election season-- which is well underway and earlier than ever before. One of the monumental shortcomings of the 2009-2010 legislative session was the failure to pass and enact into law an effective disclosure measure in the wake of the horrendous Citizens United v. Federal Election Commission handed down on January 21st by a narrow majority of a bitterly divided U.S. Supreme Court which overturned 100 years of settled law and opened the floodgates for unlimited corporate and union general treasury money to be used to directly influence the outcome of federal -- and by extension -- state elections. The Citizens United decision allows -- and indeed invites much better disclosure of the money influencing elections but the Wisconsin legislative leadership in the closing days of the session this past April failed to come to an agreement on needed legislation (Senate Bill 43) to require outside special interest groups who make widely-disseminated communications intended to influence the outcome of an election, reveal who their donors are. Common Cause in Wisconsin (CC/WI) immediately called on Governor Jim Doyle to call the Legislature into Special Session or for Wisconsin Assembly Speaker Mike Sheridan and State Senate Majority Leader Russ Decker to call the Legislature into Extraordinary Session to pass the revised disclosure legislation so that it would be in place for the upcoming 2010 elections: Special or Extraordinary State Legislative Session Needed for Campaign Finance Disclosure Reform. The call was widely supported by a number of state newspaper editorials and by other reformers. The need for disclosure was a primary topic of interest and discussion last week in Middleton, Wisconsin where about 75 citizens joined CC/WI Co-Chair Bill Kraus, CC/WI executive director Jay Heck, League of Women Voters of Wisconsin executive director Andrea Kaminski, long-time reformer, Common Cause member, elections board official and the founder of the Wisconsin Democracy Campaign Gail Shea, and leading legislative reformer, State Senator Jon Erpenbach (D-Waunakee)in a CC/WI-organized reform forum. 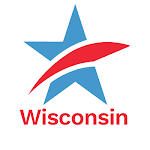 This was one in a series of such forums held over the state since 2007 entitled "What Ever Happened to Good Government in Wisconsin?" Another "hot" topic at the Middleton forum was the dire need to reform the disgraceful redistricting process in Wisconsin in which congressional and state legislative seats are redrawn by congressional and legislative leaders behind closed doors, utilizing millions of dollars of taxpayer money to fashion safe and uncompetitive districts for the vast majority of Wisconsin's U.S. House Members and Members of the Wisconsin Assembly and State Senate. This ugly and undemocratic process will begin in earnest in early 2011 after the completion and tabulation of this years Census. There has to be a better way to redraw the boundaries of congressional and state legislative districts to create more competition and choice for voters, not less as the politicians currently in control of the process would like. You can view and/or listen to the Middleton reform forum in its entirety by going to the WisconsinEye link here. Also last week, the U.S. Supreme Court further undermined the ability of citizens to counter the influence of special interest money and the wealthy when it temporarily blocked the state of Arizona from distributing "matching funds" to those candidates whose opponents are spending large sums of private money: Keeping Politics Safe for the Rich. The provision in that state’s 12-year-old campaign finance law is also part of Wisconsin’s Impartial Justice law, which was enacted into law on December 1, 2009. It is an important tool designed to reduce the influence of moneyed interests in elections and an important element of Impartial Justice. Better Disclosure of Outside Money and Overhaul of Wisconsin's Disgraceful Redistricting Process are Top Reform PrioritiesTweet this!